Tech these days has touched almost every aspect of our life we can see applications of tech in Media, Medical, Transportation and almost everywhere. But from past to present in every civilization education played very important role. Future of human race is completely depending on what we feed to younger in the form of education. These days we can also see some reforms in the path of the modern education or in other words we can say with all the other aspects of the life technology is changing the face of education as well. Let us find out how tech has brought a revolution in the path of education. Tech has changed the way we use to take classes. Now you can teach anyone in the world from anywhere. Either if you want to take a lesson from the expertise of a domain or you want to learn some basics of any topic you can take an online class. These days you will find lots of seminars or webinars which helps you to learn more and get trained on a particular field. With the passing time our study material got portable. Earlier we got paper jacketed books and note books to study which we can carry with us but now these books are replaced by our tablets. These days kids need to carry only the tablet and it is all done. Now they do not need to carry bulky school bags. Now they can do homework from anywhere because they can submit it online from the same tablet from anywhere. In the new era of modernization in education you do not need to be in a queue to fill forms or to get enrolled in any programs. you can register yourself online can fill your form and can pay fees online. From enrollment to giving exams everything is online or we can say the end to end process of the education is now online you do not need to go and to stay in another city to get the education you can sit in y our room with a high-tech laptop with high speed internet to get educated. 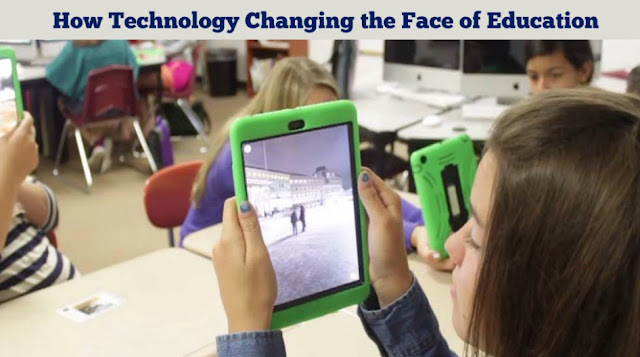 Use of Augmented Reality is really a revolution in education. With the help of this students can understand biology models and physics models very clearly by the time physical models are getting obsolete and in all the educational institutions we can find the models based or AR. As e have already discussed in all the schools and collages tablets and computers are the tools mostly used to transform knowledge and AR projects or models can easily be executed on them. For everyone education starts from a play school and end up at the collage. These are the three different levels of education we currently have if we talk about the online education system then very soon we will not have these barriers. Anyone will be able to learn anything in any age. When everything is digitized then tracking progress will also be easier to track progress. This helps to develop a sound growth path for you. This is how tech has changed the way we use to get educated. Technical reforms are very good but there are some loop holes in the overall system. Use of tech in educated reduced human intervention which in turn making us more addictive to our smartphones or tablets. You can only solve some real-life problems with your own brain, so it is good to use tech in education, but we should also keep ourselves tuned for real life scenarios. 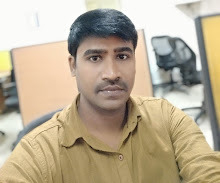 Author bio: Srishti Shreshth is a technical writer and a tech lover, she keeps an eyeon new releases for android and iOS devices like like call recorder, offline racing game, registry cleaner, photo management software and more. She works for Systweak Blog and keeps herself updated about the innovations and how tech is changing the world around us.